“Chennai District Level Under 12 Gymnastic Competition” was conducted by Chennai District Gymnastic Association at Chennai on 21 Jan 2018. More than 100 kids from various academies/school in Chennai participated in the event. Freehand Rhythmic Gymnastic was conducted for Age Groups 4 – 12 yrs. 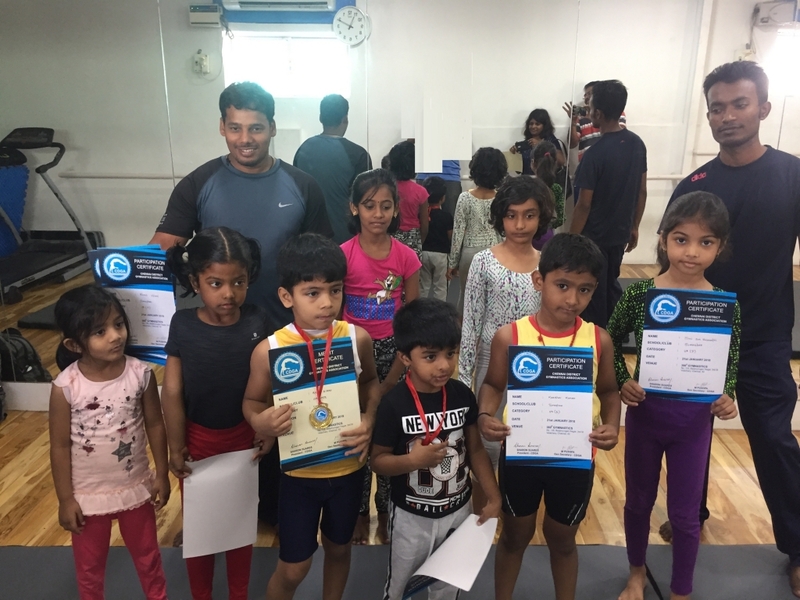 Gymnastics kids from Smasher Sports Academy participated in this event and had an excellent outing, they won 3 Gold medals and 3 Bronze medals in various age groups. Congrats to all the participants, winners & coach Barman.